Meet Mini, my new friend at the Grand Hotel on Mackinac Island. The grounds at the hotel are exquisite. Aside from their beauty, they seem to have been designed to attract butterflies. 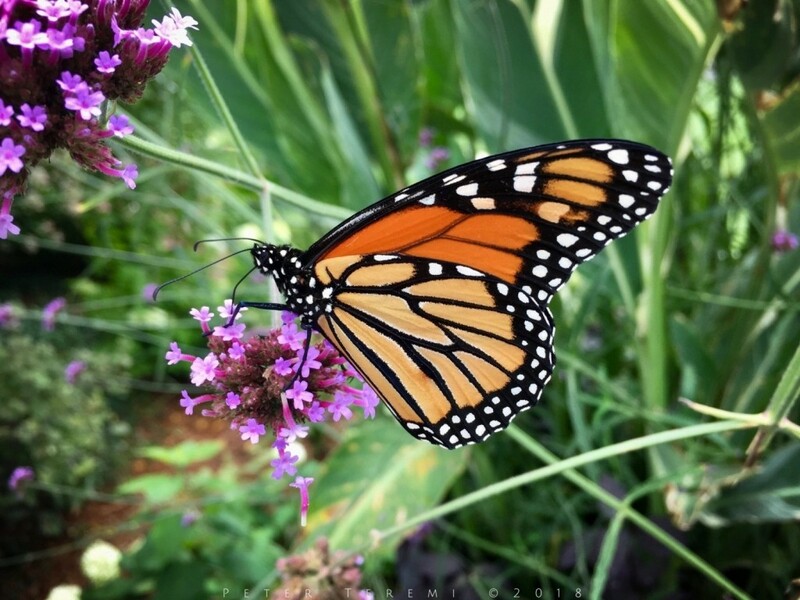 Shown below is a wonderful specimen of Monarch Butterfly. I asked if I could take her photo. She smiled and said “Oui Monsieur”, and posed for me. How gracious! Blessings from Murphy-Cam in Michigan!